Nigeria accounts for more than 34% of the proposed capital expenditure (capex) on planned and announced crude and natural gas projects in the sub-Saharan Africa over the period 2018-2025. Nigeria is investing heavily in new oil and gas projects to further boost its oil and gas production. Majority of production from these projects is for exports, generating significant revenues for the country. In total, 67 crude and natural gas projects are expected to start operations in the sub-Saharan Africa during the forecast period. Among these, 16 are planned projects with identified development plans, and 51 are early-stage announced projects that are undergoing conceptual studies and that are expected to get approved for development. Among operators, Shell Petroleum Development Company of Nigeria Ltd leads with the highest operatorship of four upcoming projects in the sub-Saharan Africa during the forecast period - three announced and one planned - all being conventional gas projects. Sonangol P&P occupies second place with operatorship of three upcoming oil projects. Key projects in the sub-Saharan Africa are expected to contribute about 1.1 million barrels of oil equivalent per day and around 9.4 billion cubic feet per day of global gas production in 2025. The region is expected to spend proposed capex of US$20.3bn to bring the planned projects online and US$154.6bn on key announced projects during the forecast period. Royal Dutch Shell Plc, Exxon Mobil, Nigerian National Petroleum Corporation, Eni SpA, and Sonangol EP are the key players in terms of highest capex spending on the major planned and announced projects in sub-Saharan Africa. These companies are expected to collectively spend about US$64bn on planned and announced projects during the outlook period. The latest report, "H2 2018 Production and Capital Expenditure Outlook for Key Planned Upstream Projects in Sub-Saharan Africa - Royal Dutch Shell Dominates Production and Capex Outlook", reveals that Nigeria leads in the sub-Saharan Africa with a capex of US$59bn on 28 planned and announced projects during the 2018-2025 forecast period. Capex and opex outlook by key countries and companies in the region. 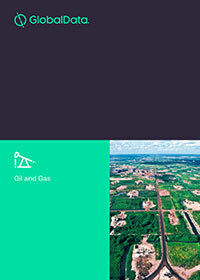 Assess your competitor’s planned oil and gas production projects.